Today is our 300th episode! We take a minute to talk about the 4 years we’ve been doing this podcast and send a big thank you to all the listeners. 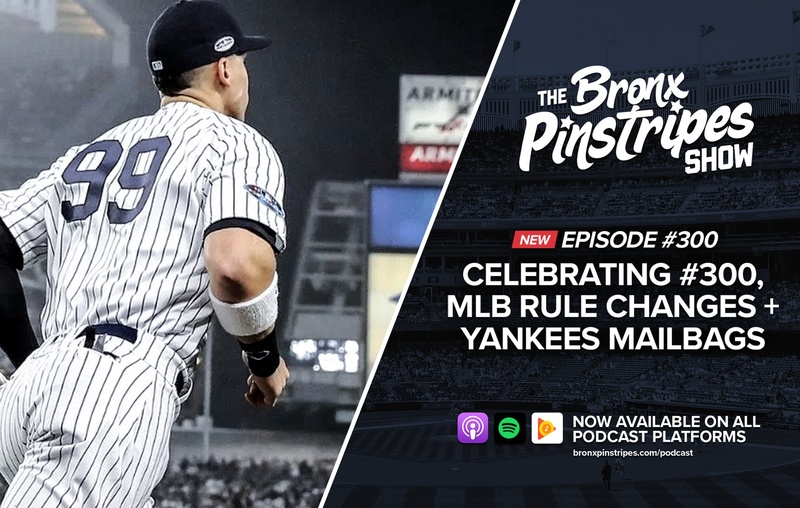 Topics this week include: MLB rule changes and how it could impact the game, rule chances we’d like to see implemented, the possible Gardner/Frazier platoon in LF, and mailbags about a reported offer the Yanks made to Machado, where Judge should hit in the lineup, the team home run record, Ottavino being a cat guy, rooting for players vs. rooting for laundry, and more Yankees trivia. Best of 2018 season voicemails end the show!